“Life is like riding a bicycle. 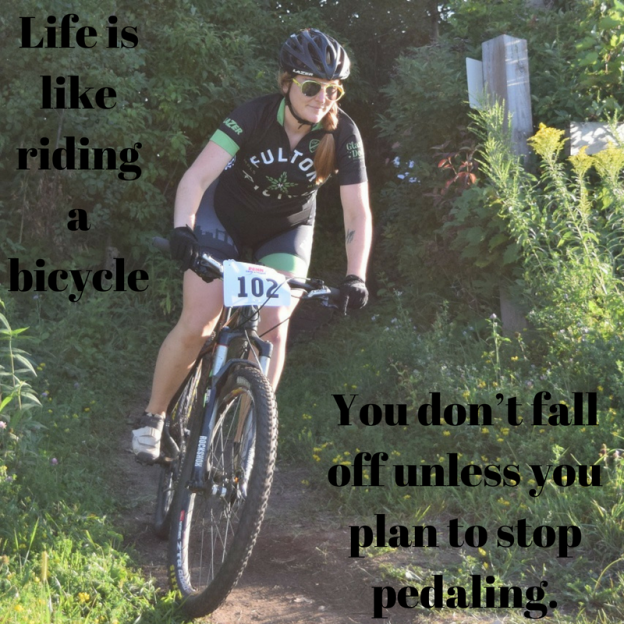 You don’t fall off unless you plan to stop pedaling.” ~ Claude Pepper. 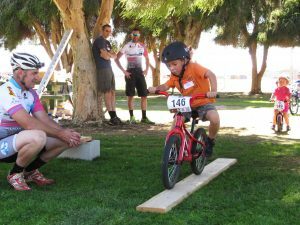 No matter what you do in life, keep on pedaling. The destination is worth all the roadblocks and forks on the trail. This entry was posted in News, Picture of the Day and tagged #bicycle, #FindYourNextAdventure, #mountainbiking, #nextadventure, #nextbikeadventure, #onlyinMN, #picofday, bicycle lifestyle, bike, Bike Guide Minnesota, Bike Guide MN, Minnesota Bike Guide, MN Bike Guide on December 1, 2017 by Stephanie Hunt. This Thursday we want to take a trip back in time to learn about the Penny-Farthing. So in the pic featured today you can see one of the very first bicycle designs called the penny-farthing. You weren’t able to just get on one, no you actually had to mount it like a horse. The large wheel in the front had it’s advantages, especially with potholes or rocks, because it could roll right over it. 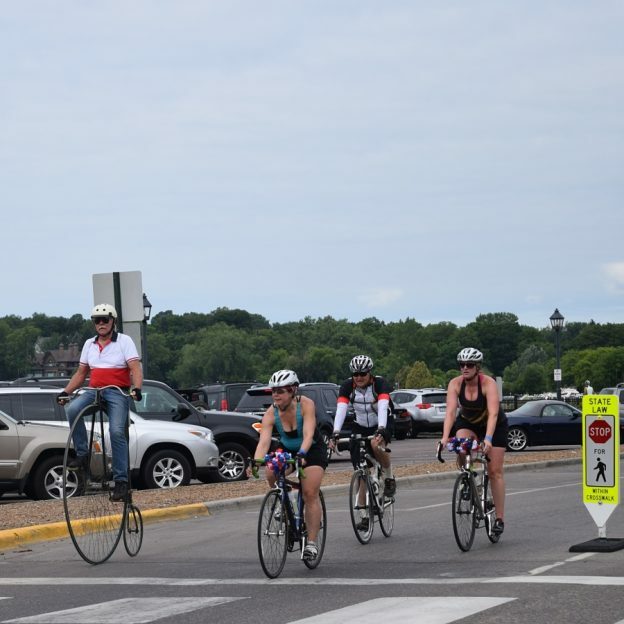 This entry was posted in News and tagged #bicycle, #mnbikeguide, #nextadventure, #nextbikeadventure, #onlyinMN, #picofday, #picoftheday, #ridemybicycle, #ridemybike, big wheel bikes. 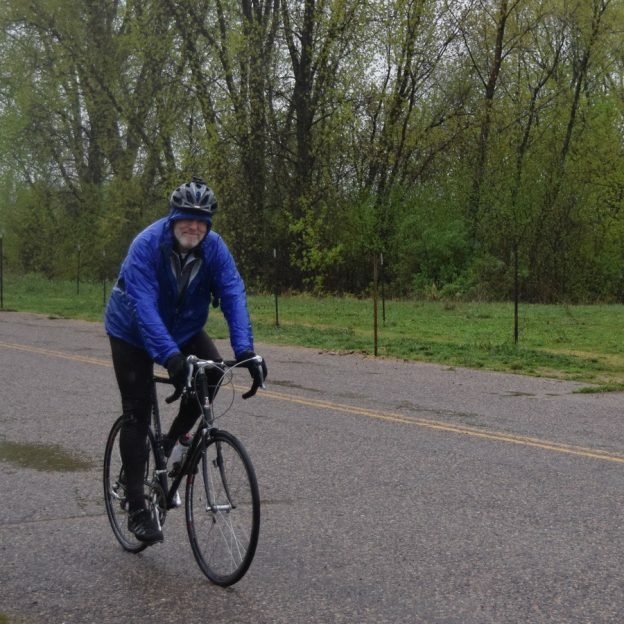 early bike history, bike, Bike Guide Minnesota, Bike Guide MN, Minnesota Bike Guide, MN Bike Guide on March 16, 2017 by Stephanie Hunt. Winter weather is back and now we’re all itching for that warm weather but based on forecasts it might not be for another week. So make sure to dress appropriately if you’re gonna head out for a ride. Also, make sure you never forget your helmet. Safety first! 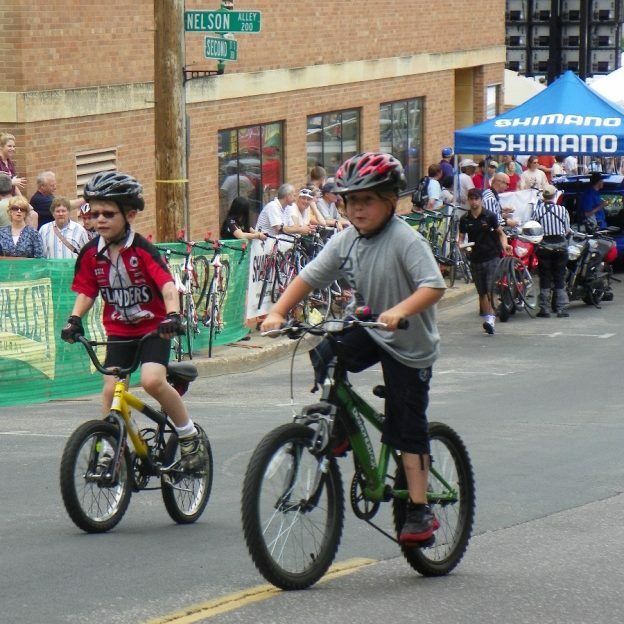 This entry was posted in News, Picture of the Day and tagged #bicycle, #bikesafe, #bikesafety, #mnbikeguide, #nextadventure, #nextbikeadventure, #onlyinMN, #penncycle, #picofday, #picoftheday, #ridemybicycle, #ridemybike, Bike Guide Minnesota, Bike Guide MN, Minnesota Bike Guide, MN Bike Guide, winter on March 10, 2017 by Stephanie Hunt. It’s been a windy March the last couple of days and we hope none of your gear has blown away, that said, daylight savings time begins this Sunday at 2.a.m. So that means it’s time to spring forward and enjoy longer days! 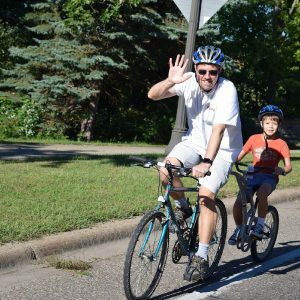 This entry was posted in News, Picture of the Day and tagged #bicycle, #mnbikeguide, #nextadventure, #nextbikeadventure, #onlyinMN, #picofday, #picoftheday, #ridemybicycle, #ridemybike, bike, Bike Guide Minnesota, Bike Guide MN, Day Lightt Savings, Minnesota Bike Guide, MN Bike Guide on March 9, 2017 by Stephanie Hunt. Happy Tuesday! Mother nature is at it again everyone! With the line of storms that moved through yesterday and now the cool weather we’re experiencing today, we’re not quite sure what the rest of the month will bring. We hope that you have enjoyed the nice weather the past few days because it sounds like we may be in for a cold tone. So bundle up and have fun on your next ride or hiking the trail. 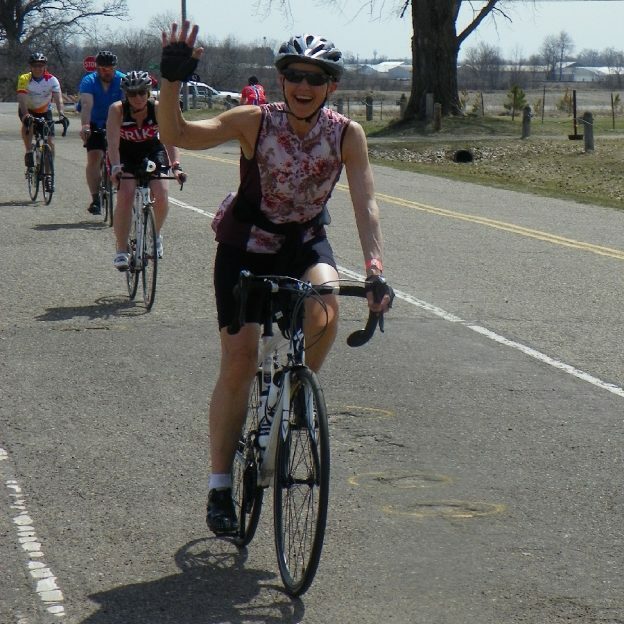 This entry was posted in News, Picture of the Day and tagged #bicycle, #mnbikeguide, #nextadventure, #nextbikeadventure, #onlyinMN, #picofday, #picoftheday, #ridemybicycle, #ridemybike, bike, Bike Guide Minnesota, Minnesota Bike Guide, MN Bike Guide on March 7, 2017 by Stephanie Hunt. Bike Pic March 6, Pay Attention To Cyclists and Cars, Whats Wrong With This Photo? With the warm weather becoming more frequent as the days become longer, make sure either when driving your bike or car to pay attention and be alert. In this ‘pic of the day’ whats wrong with the subjects in this image? 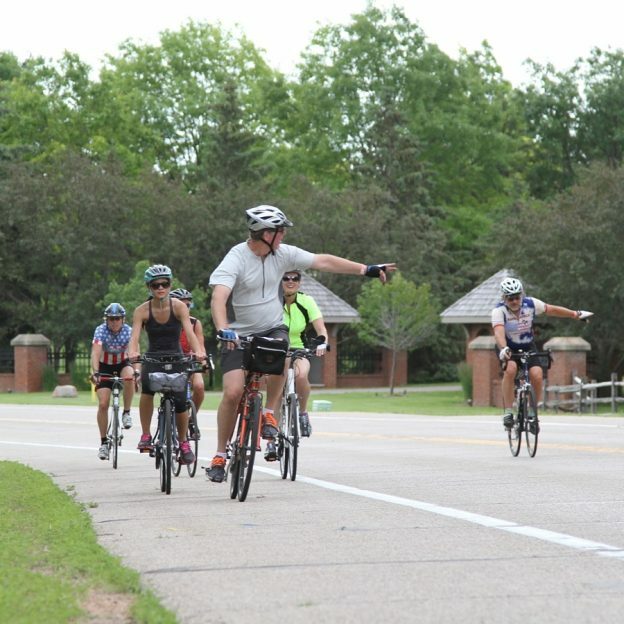 The group of cyclists are all wearing helmets and some are properly signaling for a left-hand turn that they are all preparing to make. The problem is the majority of the cyclists are over on the right shoulder? 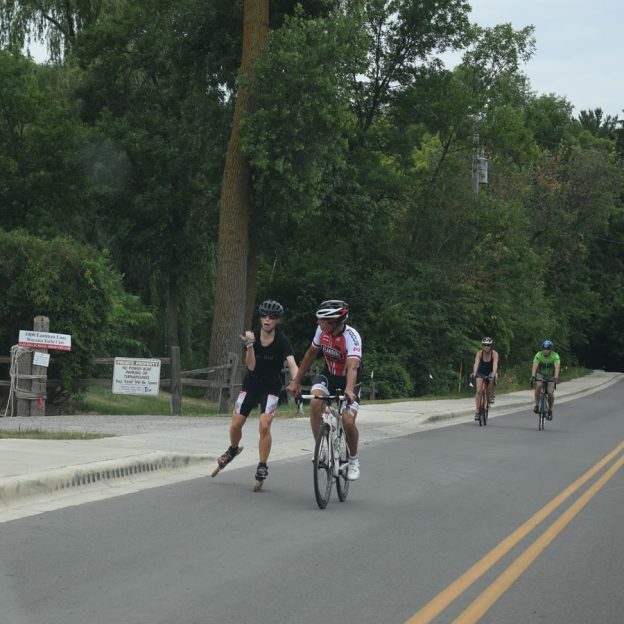 They are not following, two-a-breast, the lead biker who is over to the far left preparing to make a safe turn – using good driving practice procedures. 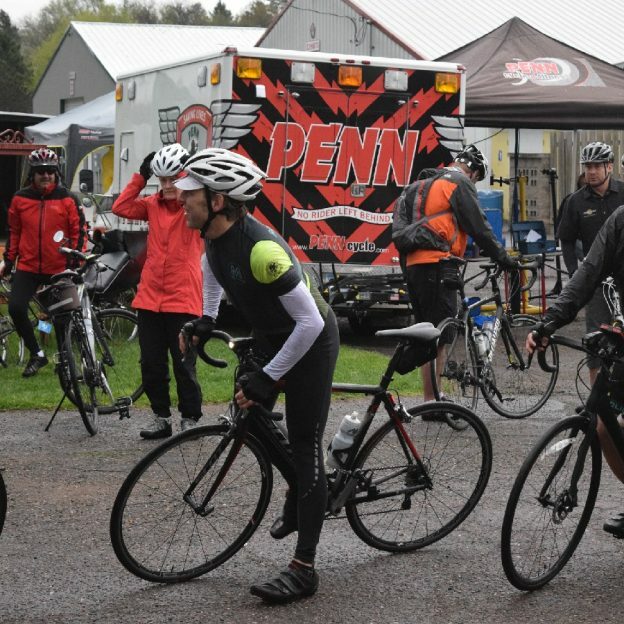 If you were driving a car and approached this group of bicyclist from behind would you be a little confused to their intentions? Please, Share the Road, drive your bike as you would your car and enjoy the nice weather! 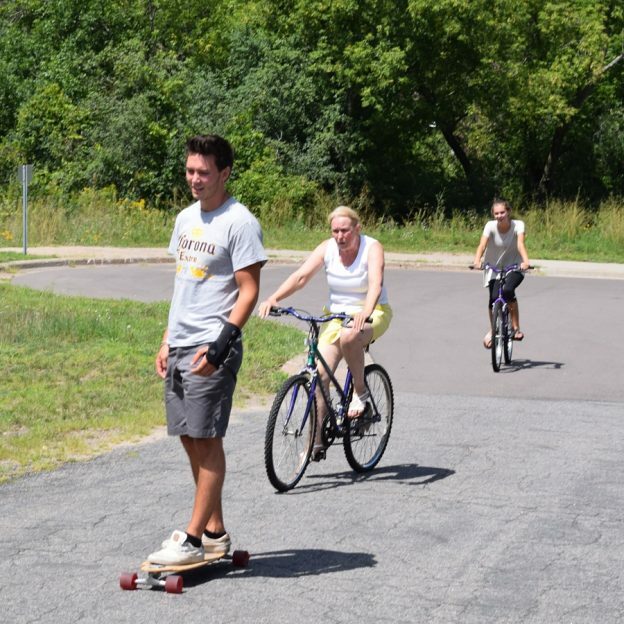 This entry was posted in News, Picture of the Day and tagged #bikesafe, #bikesafety, #FindYourNextAdventure, #mnbikeguide, #nextadventure, #nextbikeadventure, #onlyinMN, #picofday, #picoftheday, #ridemybicycle, #ridemybike, #sharetheroad, bike, Bike Guide Minnesota, Bike Guide MN, Minnesota Bike Guide, MN Bike Guide, Road Biking Minnesota, Road Biking Wisconsin. 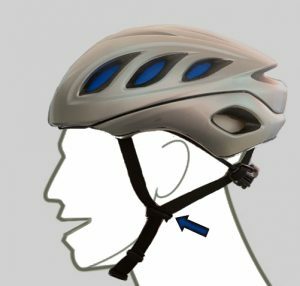 Road Biking Safety on March 6, 2017 by Stephanie Hunt.